Williams takes a 5-3 lead after first session. Williams takes the first frame of second session, Higgins makes a great respons 84 afterwards. Williams hits a 115 to lead 7-4 but Higgins steals the next frame from 62 points behind. Williams still leads 7-5 before mid session. Ding cameback to lead Trump 9-7 before third session starts. Ding and Trump shared the first four frames before mid session, Ding hits 64 and 77 while Trump makes 61 and 71. 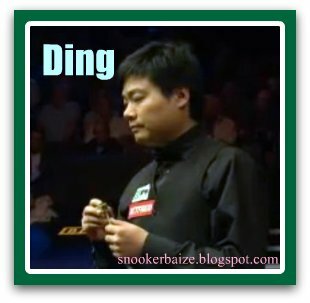 Ding goes 11-9 up on Trump. 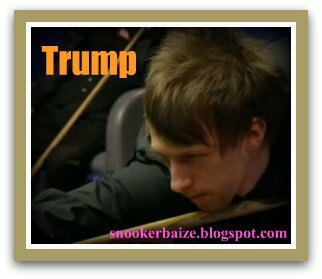 After mid session, Trump starts to play crazy attacking snooker, knocking 61, 102 and 103 to lead 12-11. 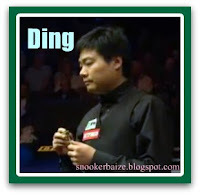 Luckily Ding pulls one back to level the match with 87 in the last frame of the session. They sticks at 12-12 before last session comes. The last session now will be in best of 9, first to 17 frames will enter the FINAL of WC. We have an amazing session tonight, tomorrow will be more intense. Who will win to become a finalist? Which two of them will be the Finalists of World Snooker Championship 2011?